Florida State has moved a few players around to different positions this offseason. Jaiden Woodbey is back at his natural safety position while Hamsah Nasirildeen moved to the STAR position earlier this spring. Now, another defensive player is switching spots. A source tells NoleGameday that junior linebacker Leonard Warner will be moving to defensive end following a dominant performance in the Seminoles scrimmage on Saturday. This is kind of unexpected considering Leonard was among the players fighting for a starting linebacker spot alongside Dontavious Jackson. 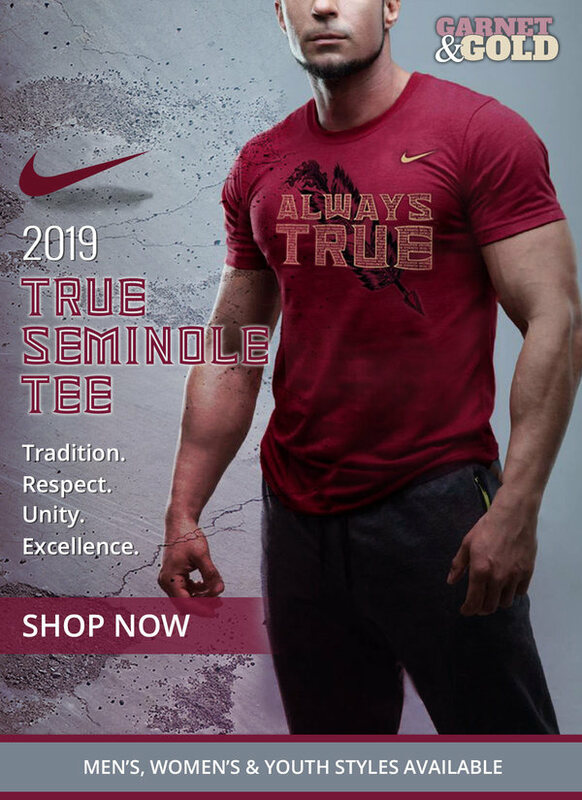 Tim Linafelt of Seminoles.com wrote Monday that “Junior linebacker Leonard Warner III, who had 38 tackles a year ago, was a force on Saturday, practically living in the opposing backfield.” which could’ve been the final spark to him moving up to the defensive front. However, this switch has the potential to help Harlon Barnett’s defense. The ‘Noles struggled to rush the passer in 2018, netting just 28 total sacks, the least for the program since 2014. In seasons past, FSU has had the luxury of having elite talent at the EDGE position, Josh Sweat manned that role for during his time in garnet and gold and Brian Burns locked it down recently before heading to the NFL. Now, Willie Taggart may be experimenting by moving Leonard to the defensive line. The former four-star linebacker prospect has a similar build, 6-foot-4/225 pounds to both Sweat (6-foot-5, 250 pounds) and Burns (6-foot-5, 249-pounds). Plus, he’s been spending time in practice working on transitioning to having his hand in the dirt. During the last open practice, Leonard was spotted playing defensive line during Nole Drills. The Georgia native played in all 12 games while starting four during 2018. He finished the season with 38 tackles, 1.5 tackles for loss, four quarterback hurries, and a pass break-up. Leonard may need some time and more bulk before he can adjust to the position but luckily he has one of the best defensive line coaches in all of college football, Odell Haggins, to assist with the transition. 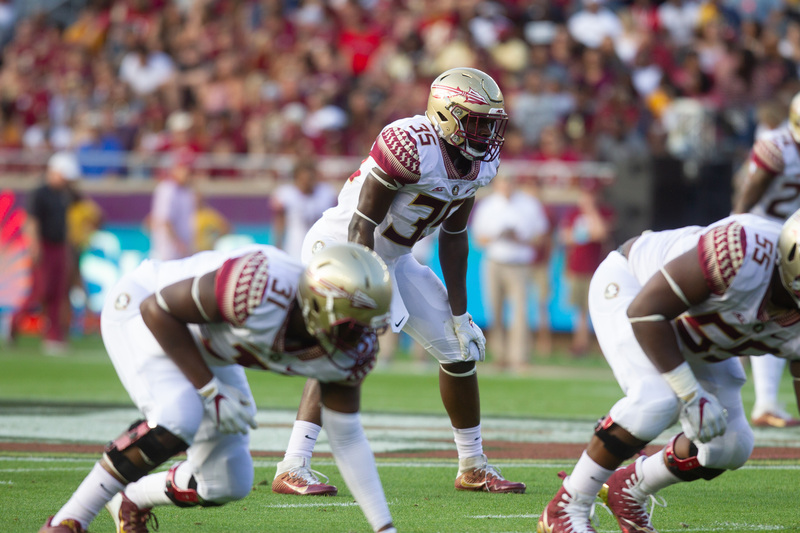 Some movement on the FSU defense: Leonard Warner III is now playing boundary defensive end. He started the last few games last year at inside linebacker.